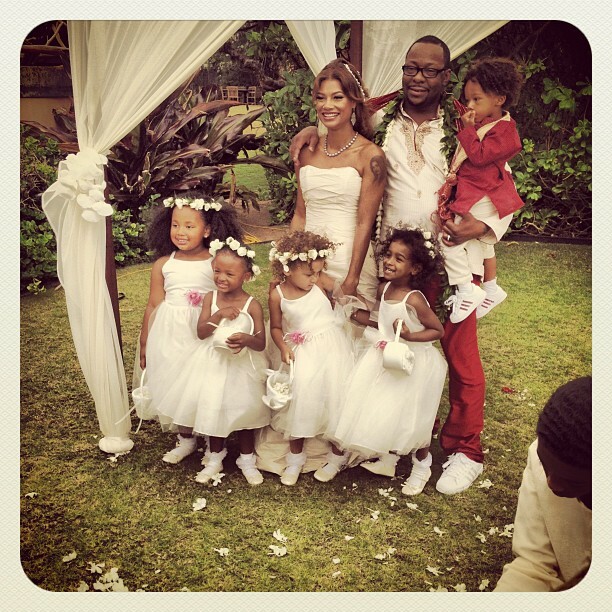 Late Whitney Houston's ex husband Bobby Brown has tied the knot with his fiancee Alicia Etheredge! According to People magazine, the couple walked down the aisle following a New Edition concert in Honolulu, Hawaii on Monday. The couple's loved ones, including many of their children, were in attendance. Bobby's older children Landon, 23, La'Princia, 22, and Bobby Jr., 19, along with the couple's son together , Cassius, 3, were at the nuptials. Bobbi Kristina ,the R&B singer's daughter with the late Whitney Houston was not in attendance, as they are reportedly not on good terms presently. The couple got engaged in 2010, after Bobby proposed during a New Edition show in Jacksonville, Florida.